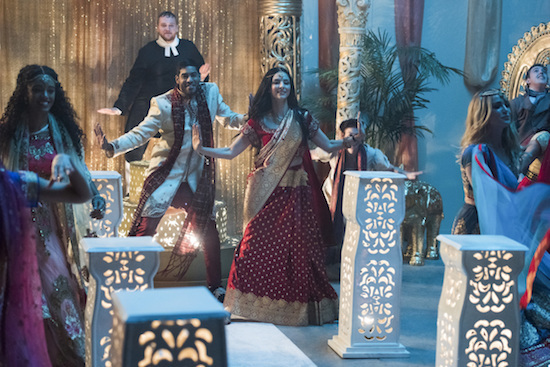 It certainly seems like the Legends will be up against a doll on the Monday, December 3 episode of LEGENDS OF TOMORROW, and here’s hoping it’s even 1/10th as fun as Beebo has been. 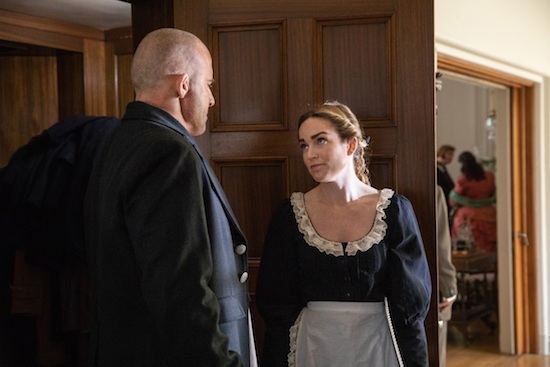 DC's Legends of Tomorrow -- "Hell No, Dolly!" 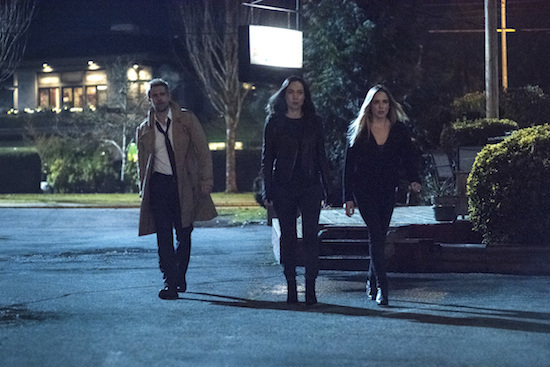 -- Image Number: LGN407a_0015b.jpg -- Pictured (L-R): Dominic Purcell as Mick Rory/Heat Wave and Caity Lotz as Sara Lance/White Canary -- Photo: Jack Rowand/The CW -- ÃÂ© 2018 The CW Network, LLC. All Rights Reserved. 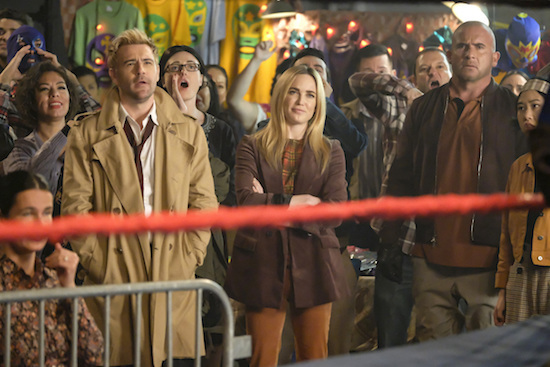 It’s “Take Your Dad to Work Day” on Monday’s LEGENDS OF TOMORROW, as Nate’s (Nick Zano) father Hank (Tom Wilson) goes on a trip with the Legends to get a real look at what the team deals with daily. 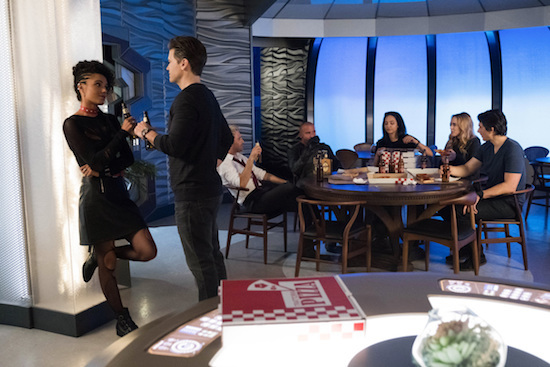 DC's Legends of Tomorrow -- "Tender is the Nate" -- Image Number: LGN406a_0027b.jpg -- Pictured (L-R): Maisie Richardson-Sellers as Charlie, Nick Zano as Nate Heywood/Steel, Matt Ryan as Constantine, Dominic Purcell as Mick Rory/Heat Wave, Tala Ashe as Zari, Caity Lotz as Sara Lance/White Canary and Brandon Routh as Ray Palmer/Atom -- Photo: Jack Rowand/The CW -- ÃÂ© 2018 The CW Network, LLC. All Rights Reserved. 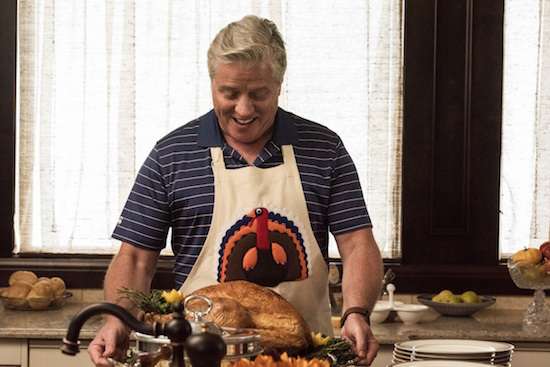 While some of the Legends are saving the day in 1951 Tokyo and others are trying to help Constantine (Matt Ryan), Nate (Nick Zano) and Ava (Jes Macallan) have a more terrifying prospect ahead of them: Thanksgiving with his father, Hank (Tom Wilson). DC's Legends of Tomorrow -- "Tagumo Attacks!!!" -- Image Number: LGN405c_1003b.jpg -- Pictured: Tom Wilson as Hank Heywood -- Photo: Dean Buscher/The CW -- ÃÂ© 2018 The CW Network, LLC. All Rights Reserved.